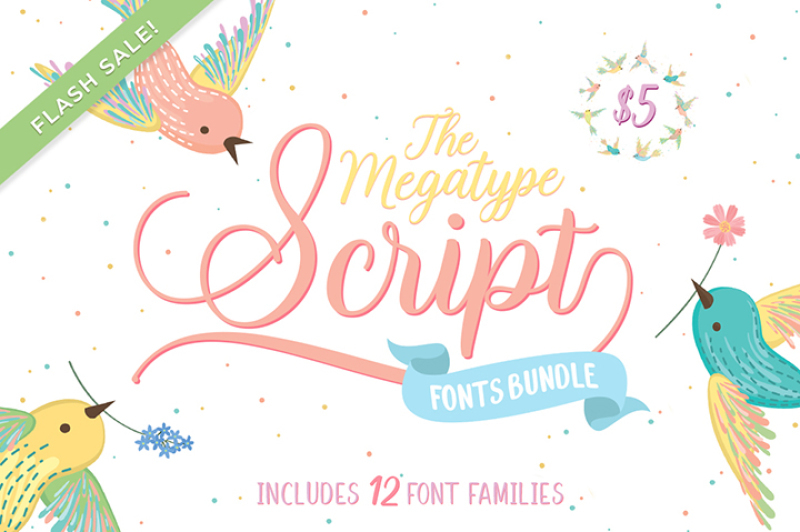 This week we partnered with MegaType to bring you a lovely font collection with 12 families at a great price – just $5! 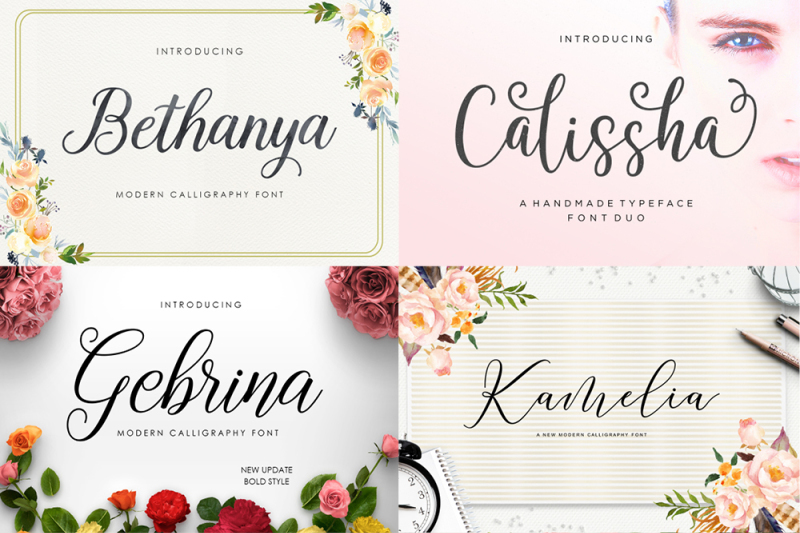 All the fonts from this Flash Sale are PUA-encoded, meaning they come with a ton of alternates that can be accessed without needing any special software. As with all bundles sold on TheHungryJPEG.com, our Complete License comes included, at no extra cost!